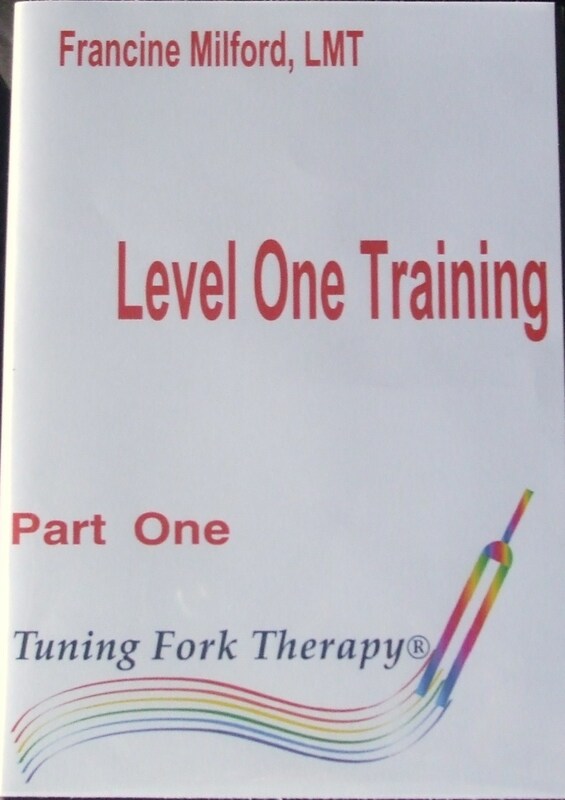 This video contains basic level one information on how to activate and use your tuning forks on self and others in a seated position. Approximate running time is 53 minutes. Cost: $26.99 plus $5.99 postage in U.S. 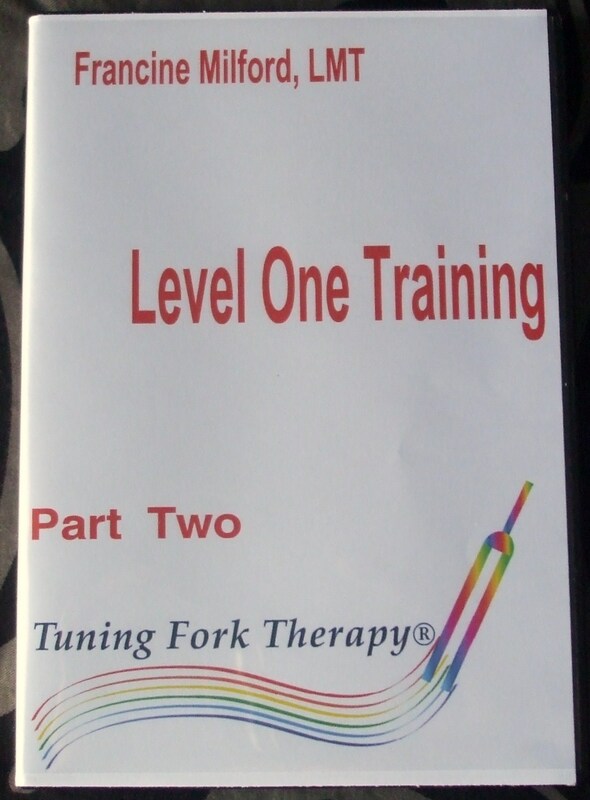 This video contains information on how to use tuning forks in a spiral technique along with toning for the Chakra System. Approximate running time is 45 minutes. Cost of video is $26.99 plus $5.99 postage in the U.S. This video covers using the Spiral and Horizontal Technique with someone laying on a massage table. 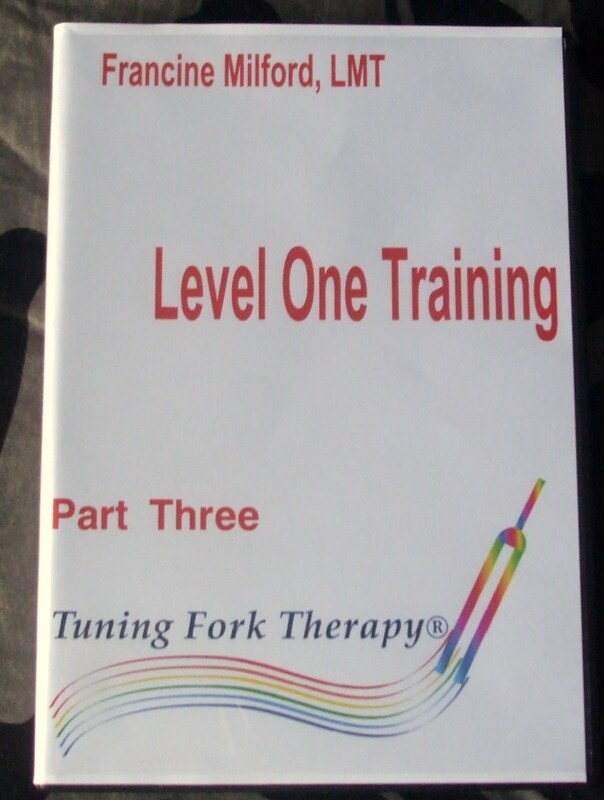 Tuning Fork Scanning and more is covered. Approximate running time is 35 minutes. Cost of DVD is $26.99 plus $5.99 postage in U.S.